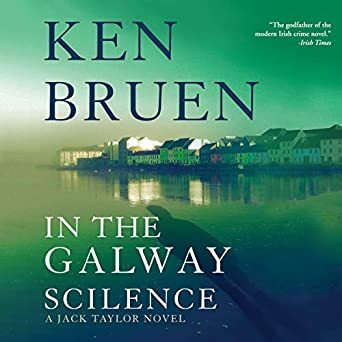 MOST ORIGINAL MURDER METHOD: For lashing a guy to his wheelchair, sealing his mouth with superglue and tossing him into a river, a Christmas angel goes to Ken Bruen’s IN THE GALWAY SILENCE (Mysterious Press, $26). Better double the angels, though, because there are two victims — twins, no less. Move over, Geoffrey O’Brien and Robert Polito. 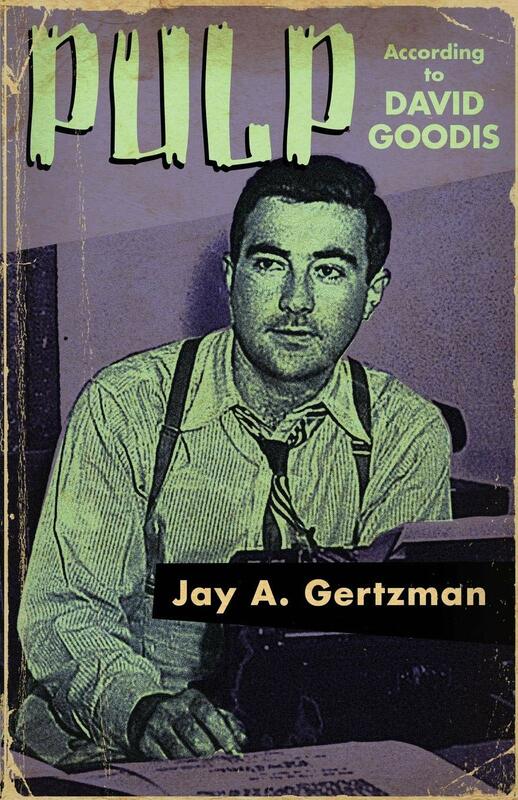 “Pulp According to David Goodis” (Down and Out Press, 2018) is Jay A. Gertzman’s herculean, 264-page analysis of Philadelphia’s champion of the Noble Loser. 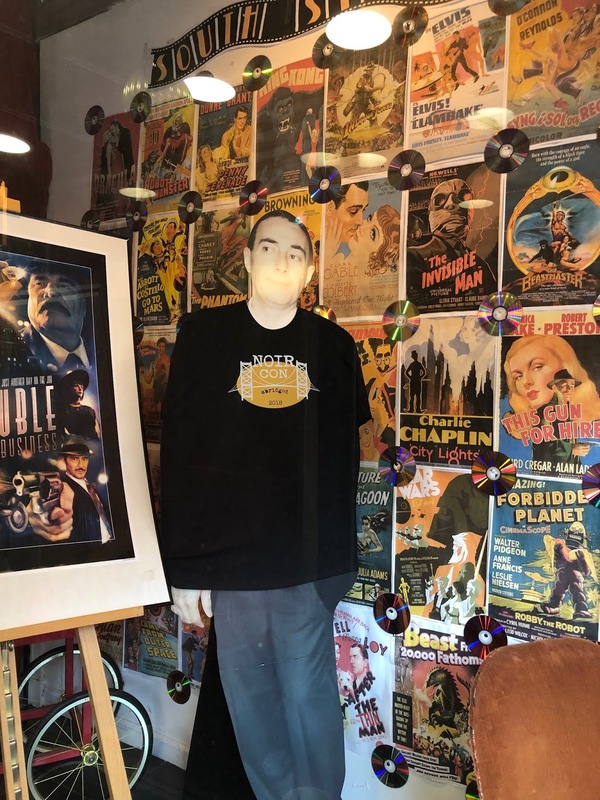 You know the movies and their rushing-toward-doom anti-heroes—Bogart in Dark Passage, Ray in Nightfall, Depardieu in Moon in the Gutter, Aznavour in Shoot the Piano Player, Duryea in The Burglar. 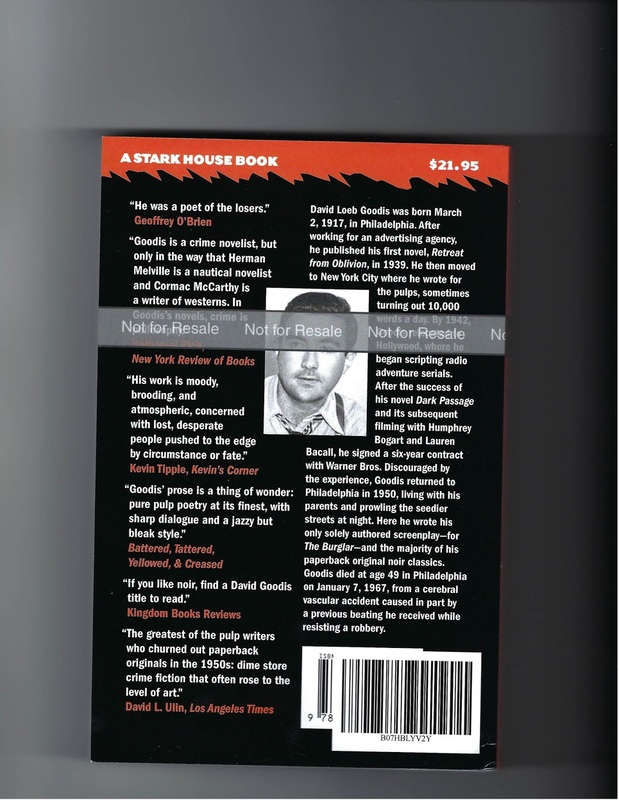 Gertzman assembles not just full-body strip searches of the author’s male and female characters, motivations and behavior, but intimate, block-by-block tours of the Philadelphia environs—today and in mid-20th century—in which Goodis set his bleak paperback originals. 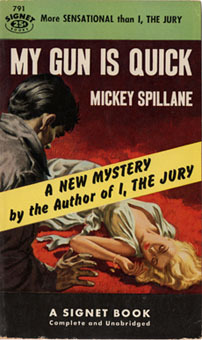 It’s crime scene digging of the first order, footnoted clear to hell, and it delivers a whole new understanding of this odd duck who turned his back on big league Hollywood potential to return to his Philly childhood bedroom, Dock Street dives and a late life obsession with “grossly sensual" African-American women. There he’d write 11 more novels plus The Burglar screenplay in six years, dying in 1967 before turning 50. Jay Gertzman issued the following essays prior to release of PULP. 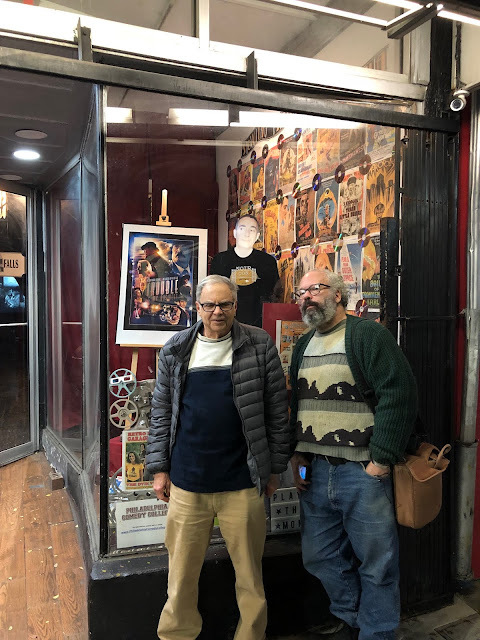 GOODIS IN HOLLYWOOD.The high point of Goodis' career as a Hollywood screenwriter was his work on a project that was never filmed. In 1947, Warner Brothers' top producer, Jerry Wald, described a new film project he wanted Goodis to write. 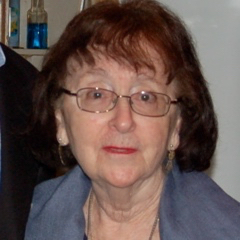 Wald favored socially conscious writers concerned with the political, class, and financial obstacles to progressive change. He had in mind a working-class version of the The Best Years of Our Lives (1946). That popular firm concerned the post-war adjustment of a group of vets, mostly upper middle class and highly educated. Goodis had been credited for the script of The Unfaithful, in which a returning husband was confronted with his wife's affair with a married artist while he was in the service. Wald wanted Goodis to study the distrust of democracy among men and women who could to find jobs or opportunities for a better life. In 1946, many had returned from the service to find strenuous competition for jobs, high food prices, and wartime-subsidized factories no longer producing goods or jobs needed to win the war. The Fascists and Communists were working hard to take advantage of the disillusion. He submitted six versions of a script from February to May 1947. The working title of the screenplay was Up To Now. This is Jerry Wald, premier idea-man and producer. 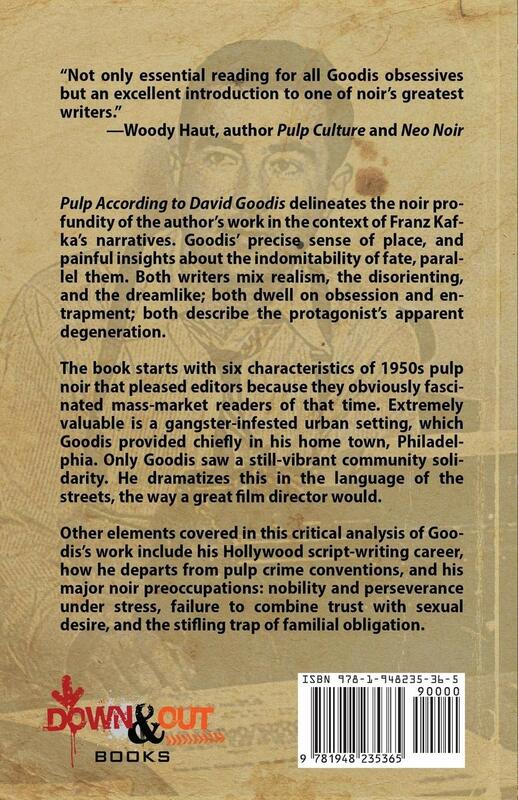 For Goodis to be asked to write for him was an honor. The writer was well prepared. 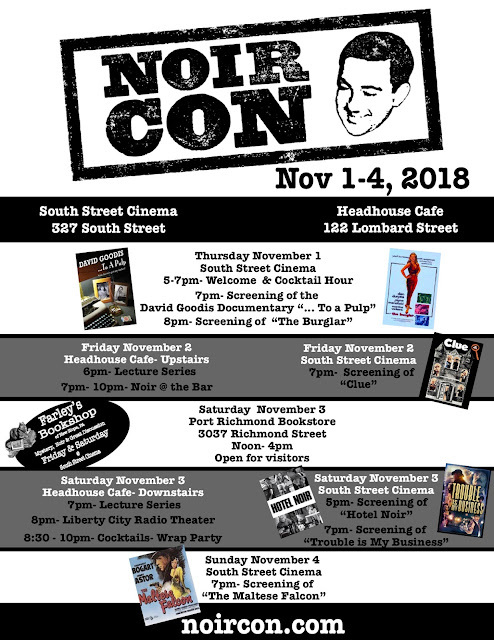 He was planning a novel to be called Brotherly Love, a story of the protagonist and his ill-fated brother (Goodis's own brother had emotional problems), and to the hard-won revival of faith in self and loved ones in the warren of row houses, small stores, and churches and factories of industrial Philly. The story: Ralph, Dippy, Ken, and George, back from the war, are hanging around Silver's corner candy store on a cold Saturday night. Handsome, affable Johnnie, Ralph's kid brother, drives by. So does a Communist organizer, while a Fascist lurks in the shadows of a row house porch. 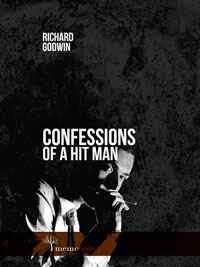 Thus Goodis introduces his characters, and their milieu, one the writer himself had probably experienced in the pool halls, restaurants and clothing stores in his Logan neighborhood. Ralph's job in a stock room was all he could get despite heroic service at Anzio and Normandy. His situation recalls, and also contrasts with, that of Fred Derry in Best Years. Fred, born in a shack and uneducated, seems to have no future, which is why Al, one of Fred's war buddies, does not want his sister to marry him. (See above: Dana Andrews as Fred--a character similar to Ralph). Both men did to take advantage of the GI Bill, because they did not feel they could succeed at college. Many working-class vets felt this way. They also were embittered by the betrayal of the Taft-Hartley Bill, dubbed the "slave labor bill" for its treatment of unions. Johnnie joins a proto-fascist group, but when he refuses to take part in a terrorist at, he is killed. His father berates Ralph, who he thinks had Commie leanings, for not protecting Johnnie. The murdere, fearful of revenge, tries to push Ralph down an elevator shaft. Ralph saves himself by grabbing the cables. 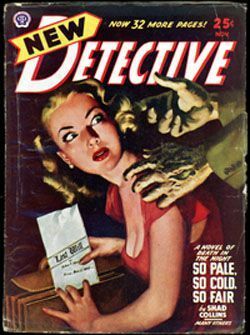 We have here a brief outline of those typical situations in Goodis novels: stored-up hostility, uphill struggle, and iron-willed perseverance despite physical suffering and emotional confusion. Resolution is effected by Ralph's inamorata, Ruth, a patient, spiritual, sensible woman. A "decent," "intelligent" working girls, she also has a practical and forward-looking nature and rock-solid self-respect. Jane Wyman was Jerry Wald's choice to play Ruth. Bogart and Bacall (recently starring in Goodis' Dark Passage) protest HUAC's "Red Scare." Jack Warner permanently selves the film in 1947, when the House Committee investigating "Unamerican Activities" opened its Hollywood hearings. Members of the Screen Writers Guild were prime targets for commie-hunters, and some did inform on colleagues, afraid that if they did not nae names, they would be fired and blacklisted. President Truman signed the bill requiring a loyalty oath in March. J. Edgar Hoover lent HUAC his bellicose support. Up To Now's "treatments" (Goodis wrote six of them) contained ones such as "The State belongs to the people." A similar line of dialogue, "share and share alike--that's democracy," would be, to HUAC, another example of the film studios' "propagandizing." Up To Now's sympathy for working men in itself was cause for alarm. Neal Gabler, in An Empire of Their Own, how one day Warner, nervously pointing to various writers he had hired to write socially conscious, progressive pictures, said he could do without them. Set in 1980, The Rat Machine travels to Los Angeles, Palermo, London and Mexico with Alex Law and Butch Nickels in their first assignment as newly-minted CIA officers and partners. The two are sent into the Los Angeles underworld to pose as heroin dealers for reasons that are, at first, unclear to them. What they discover is a highly organized criminal enterprise spanning the globe with long-standing connections to Western Intelligence agencies-and some very nasty characters. The two friends must fight, not only to stay alive, but to keep from being corrupted themselves. The Rat Machine, based on historical facts, weaves a complex story of the international heroin trade, the Sicilian Mafia, and the use of ex-Nazi spy rings by Western Intelligence services during the Cold War. This story cuts deep. So, you were expecting the cover of my book? 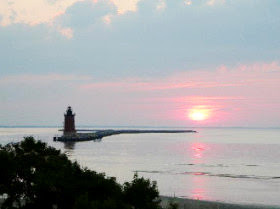 This is Delaware Bay, on the edge of the Pine Barrens, where Somebody's Done For takes place (see below). Evening or morning? Rising or setting sun?. Three novels have crucial scenes in the Jersey Pine Barrens, a place of thick vegetation, wildlife, isolated houses and dirt roads. Legends exist of misbegotten souls (the Jersey Devil), ghost towns, and isolated inbred families. In Down There, it is where the protagonists’ criminal brothers hide. In The Burglar, on a highway made nearly undriveable by rain and wind, a panicked thief shoots two cops. 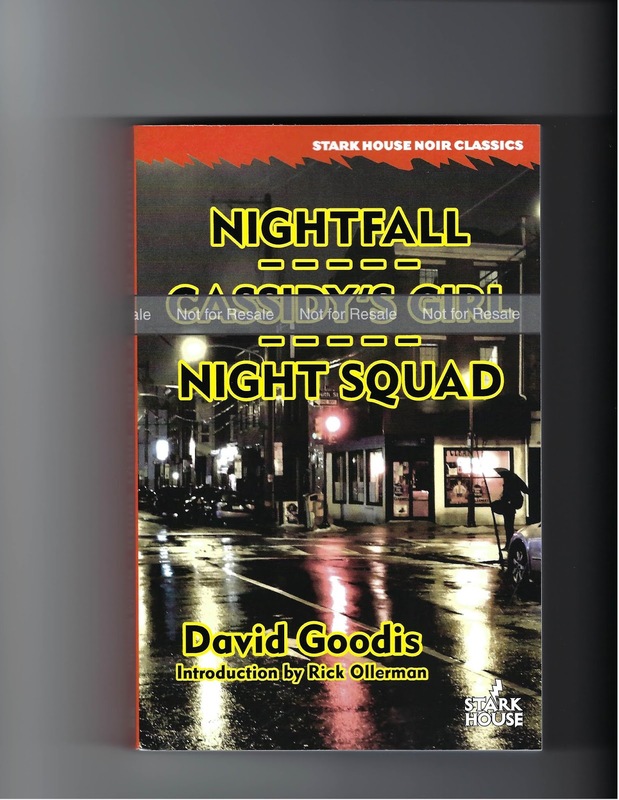 In Goodis’ final story, Somebody’s Done For, a man named Jander becomes enthralled by a ghostly, remote female who is herself in the clutches of an incestuous father. 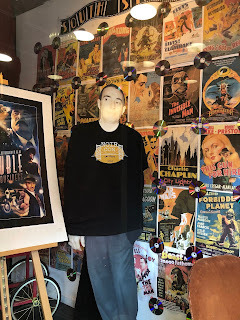 In The Burglar, the point beyond which there is no turning back is a rainy night on the Black Horse Pike, as it enters the Pine Barrens with its soaking, wind-bent trees. One of Nat Harbin’s gang of “honorable” (no violence) thieves suspects an ambush. He kills a traffic cop who was just warning the driver to slow down. The shooter was upset b/c Nat, the boss, had told his guys he was thinking of quitting. Suspicion of betrayal moved in. Driving on Black Horse Pike in a nor’easter becomes a dark wet path to the unknown. The final stop on that path is the Atlantic Ocean, the only place where the hero and heroine can be together, in a classic of screwy father-son obligation and doomed romanticism. In Shoot the Piano Player, piano player Eddie’s brothers’s hideout is in South Jersey, “deep in the woods.” Rt 47 is named, which passes by southern NJ near the Pine Barrens highway. The hideout is so isolated that there is no post office nearby. Mail has to be picked up in a small town nine miles away. The house has no electricity or water pipes, and no connection to outside world. The furniture is "scraggly," with stuffing hanging out. Also present is the piano Eddie learned on. He is back where he started—with his criminal family. But the piano, instrument of escape, is replaced by a gun. Due to the brothers’ thievery, they are cornered by thugs who want their dough back. "It ain't a house, it's just a den for hunted animals." He has to keep his girl friend Lena away from it, though he wants desperately her to be with him. And yet she’s found her way there. It is another example of doomed romanticism, a point from which one returns, if at all, further trapped in a psychic dark wood symbolized by the isolation and indifference of a world barren of justice. 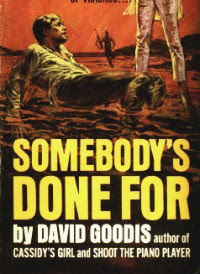 Goodis’ final novel, Somebody’s Done For is set on edge of South Jersey’s Delaware Bay. The isolated setting of water, cloud, and marsh is ideal for testing resolve and perseverance to the point of death. This is a map used as part of an unidentified robbery scheme hatched somewhere in the Barrens. 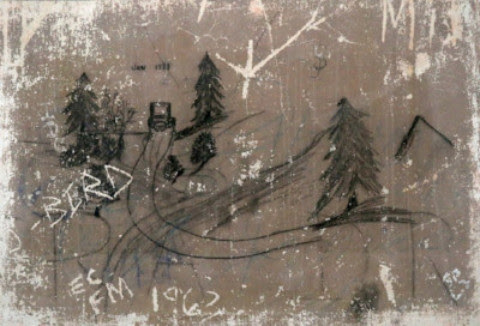 I use it here because it shows pine trees,and a car driving through the snow, just as Eddie and Lena did to reach the hideout. It embodies a mystery almost beyond words, except for those of a writer like Goodis. It also applies to Somebody's Done For . There is another hideout in this story: "seemingly crouched there in the darkness like something alive, the black hulk revealed itself to Jander." The action of Somebody's Done For is played out about 50 miles to the south of the Pine Barrens, where Eddie meets his obligations to his criminal brothers. Calvin Jander saw Vera dancing at a bizarre night club, The Amethyst (all the performers wear purple, the color of the semi-precious stone). 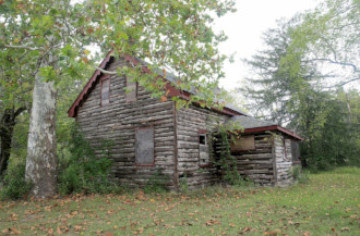 The club is near the decrepit house (see image above) that Vera shared with her murderous “father” and vindictive “mother.” She had been kidnapped as a child; the ransom scheme fell through. 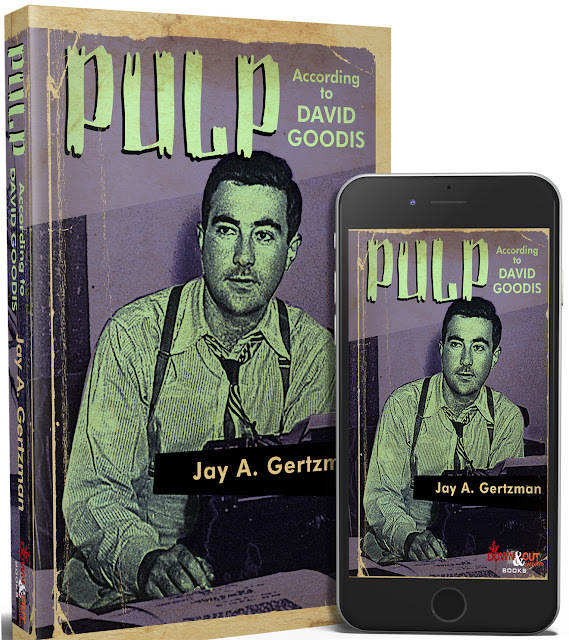 My last chapter of Pulp, According to David Goodis discusses the creative strength of his last novel. SDF is about the never-ending human conflict between desire for happiness and the forces that oppose it, chiefly the power of family and state obligation. Vera is like Lena (Down There), Celia (Street of No Return), Edna (The Blonde on the Street Corner), Myrna (Black Friday), and other ethereal females whom the protagonist yearns after. Fate, and the femme fatale, intervene—which to say, certain characteristics in the protagonist’s psyche doom the romance. Goodis uses the Amethyst myth imply purity, spirituality, and ancient blood. All that, and obsessive belief.